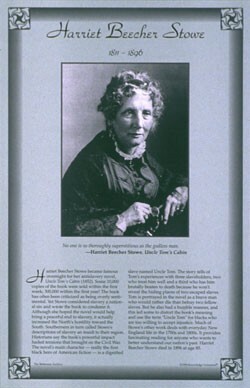 This unique educational poster features a photo of the great 19th century American writer Harriet Beecher Stowe, as well as a quote from "Uncle Tom's Cabin," and concise biographical text summarizing her life and career. 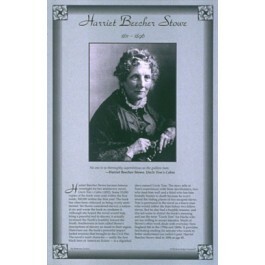 Harriet Beecher Stowe became famous overnight for her antislavery novel, "Uncle Tom's Cabin," which sold 300,000 copies in its first year. Historians say the book helped lead to the Civil War. This poster is a great way to introduce students to this important American author.